So excited to announce our brand new shop at Level 2 / 378 Sussex Street in the city. 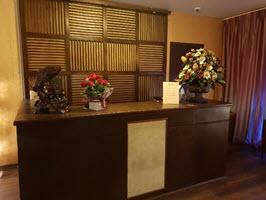 With new fitout and lovely masseuses, we are sure you will find the Asian style relaxation you need! We have a blend of Asian therapists from Vietnam, Japan, Korea and China and Korea, and with 6 lovely masseuses available every day, you are sure to find one you like. Come and give us a try. NEW CBD SHOP OPEN NOW! 6 Masseuses to choose from every day! Directions: Find us on Sussex Street, between Liverpool and Goulburn Streets. Parking: Cinema Centre Carpark at 306 Sussex Street is just 3 minutes walk. Public Transport: Just 5 minute walk to Town Hall Station at Bathurst Street Entrance. Premises: Brand New, modern and spacious. Looking for best full body relaxation massage in Sydney CBD, Chinatown, Town Hall, Darling Harbour East? Call (02) 8094 8200 or 0450 944 378 Now!